I’ve recently accepted the position of V.P. Roller Derby with Roller Sports Canada. For those who are unaware, Roller Sports Canada is a Federally Incorporated Not For Profit which has been created to promote and further roller sports in Canada. 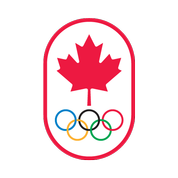 They have been a member of the Canadian Olympic Association since 1979 and are currently a member of the Canadian Olympic Committee and are sending both Roller Figure and Roller Speed skaters to the Pan Am Games in Toronto in 2015. I see this as an incredible opportunity to provide support for the Roller Derby Community in Canada from a national level. Among many other sports to a grand total of almost $211 Million in grants to amateur sports. Unfortunately Roller Derby does not currently qualify for federal or provincial grants or funding (for the most part) due to not being organized at both a federal and provincial level. I see this as a major current road block not only for the development of our local teams but also for our provincial and national teams to making this a major sport in Canada. Imagine if our national and provincial teams could travel to events without having to worry about those travel costs (both nationally and internationally). My hope is through Roller Sports Canada we can start down the road to organizing at a Provincial and a National level through which we can obtain funding for all from the National level through to the local leagues. And no, this is not an organization to replace WFTDA or MRDA. On the contrary I believe that organizationally having Federally recognized National and Provincial organizational bodies is one of the most important things that we can do in Canada right now and will only help push Canadian Roller Derby further and farther in those orgnizations. To that end I’ve produced a questionnaire for anyone interested in Roller Derby in Canada to fill in. I would like to accept responses from now until January 10th and after that time I will collect the information and make it all public through the RSC website and here on Facebook. The questionaire is at https://www.surveymonkey.com/s/6699RMP and I would be very thankful if you could all respond and share this post to our other Canadian Roller Derby skaters, fans, coaches, officials, and other support staff. It is private and I do not collect any personal information. So please, fill this in and share it with your leagues and fans. I’m excited for big things to happen!